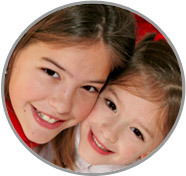 No other Perry County PA Nanny Agencies offer the one year guarantee that ABC Nanny Source does! Call today to learn more! Perry County PA Nanny Agencies seek nannies like Rebecca who have a patient focus on helping the children learn! Please call 717-221-1020 today to speak with a placement counselor and start your search for the perfect Perry County PA Nanny!